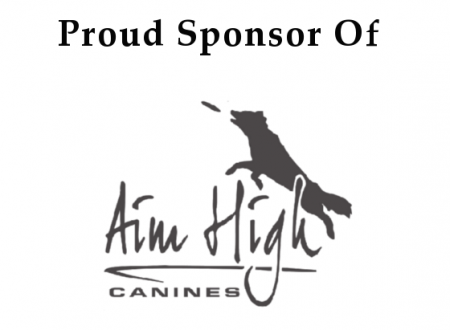 Looking for a reminder of your dog’s favorite pastime with a loving smile? This dog’s tennis ball keychain fits the bill. 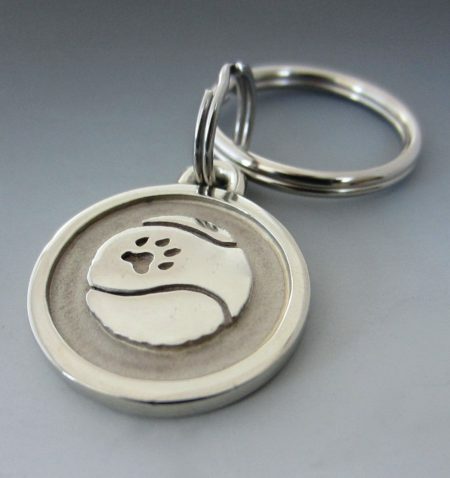 Your keys will be right at home with this substantial and beautiful tennis ball keychain with a Paw Print! Super durable stainless steel is scratch proof and tarnish free! 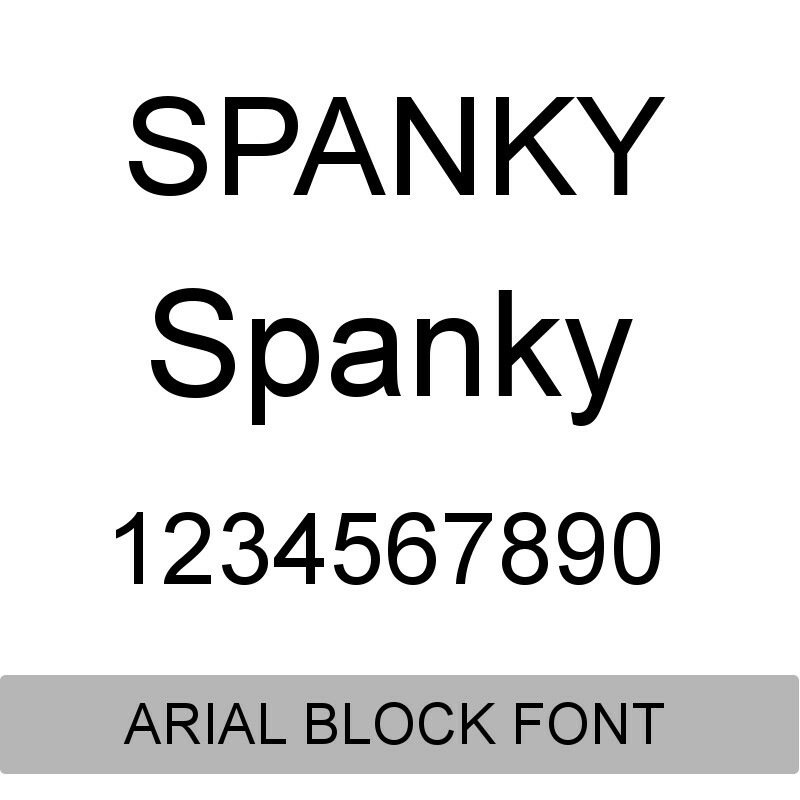 Engrave up to 4 lines using an Arial Block, Comic Sans, or Segoe Print font. Measures 1 1/2″. Keyring diameter is 1 1/8″. Carry a special reminder of your BFF and their favorite pastime with you all the time on this cute small stainless steel Tennis Ball keychain! Sensational durability, good looks, and quality craftsmanship outshine any competitors. Deeply custom engrave and personalize to your exact specifications with names, sayings, or logos! This small stainless steel Tennis Ball keychain measures 1 1/8″ in diameter and has a wonderful weighty feel. It is hand finished and cast from solid scratch resistent, non-tarnishing, stainless steel! 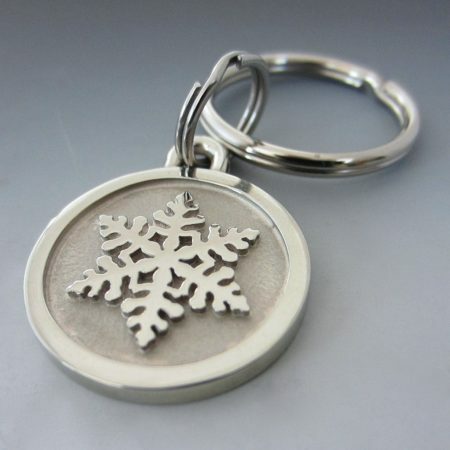 The keyring itself consists of sturdy, thick, and nicely finished stainless steel. 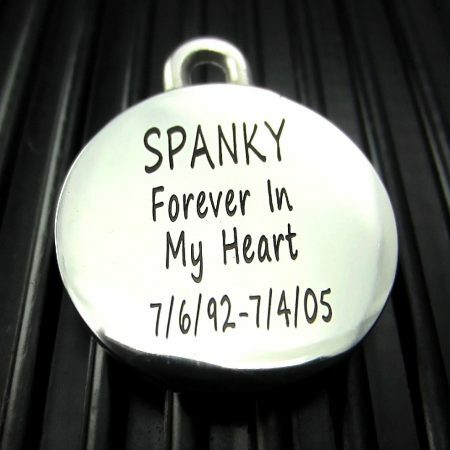 Engrave up to 4 lines on this keychain with your beloved pet’s name, a special occasion, dates, or a heartfelt saying. Please be careful not to try and fit too many characters per line. Doing so affects readability. 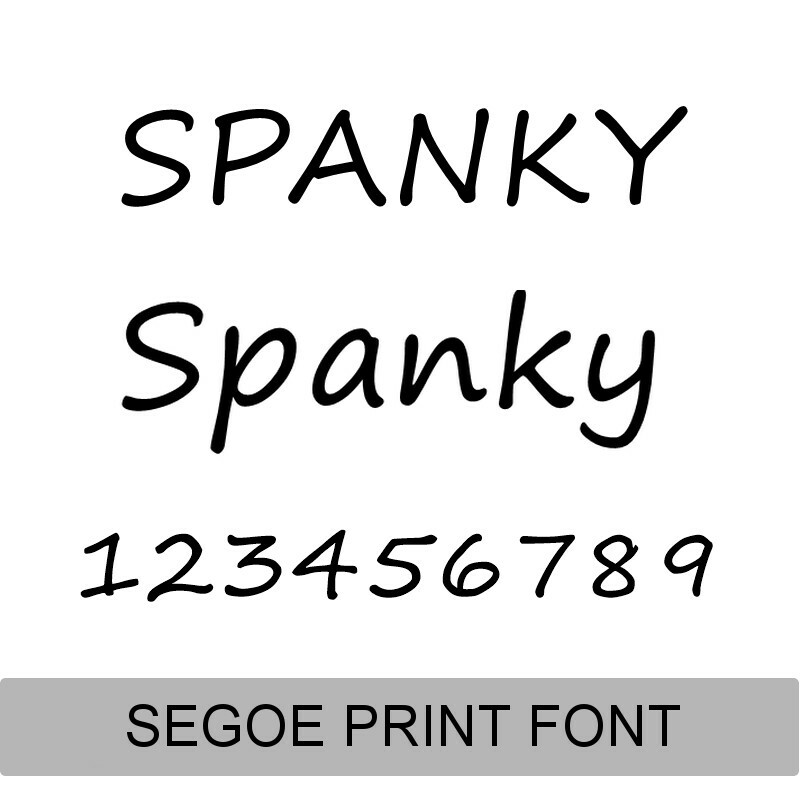 We engrave with the Segoe Print font which is a softer looking font. You may also choose a more rugged looking Arial block style font. This small stainless steel Tennis Ball pet keychain is a wonderful way to remember a cherished pet who is no longer with you for life… Silver Paw stainless steel engraved pet keychains make lovely gifts for special friends! 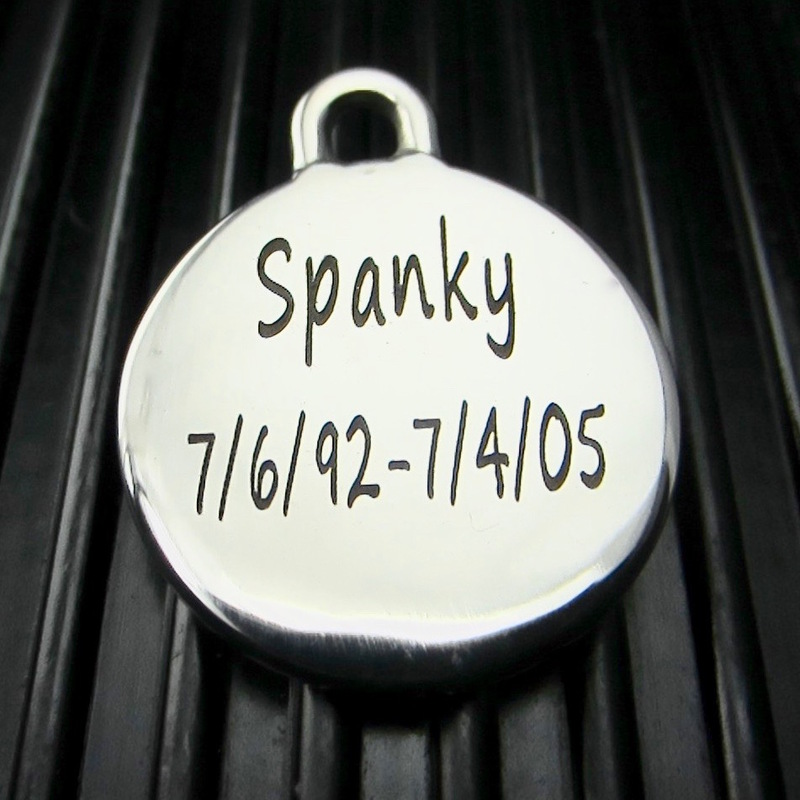 An engraved pet memorial keychain is a wonderful and thoughtful way to show a friend you care. And… we can ship quickly. We guarantee our engraved stainless steel pet keychains for life. 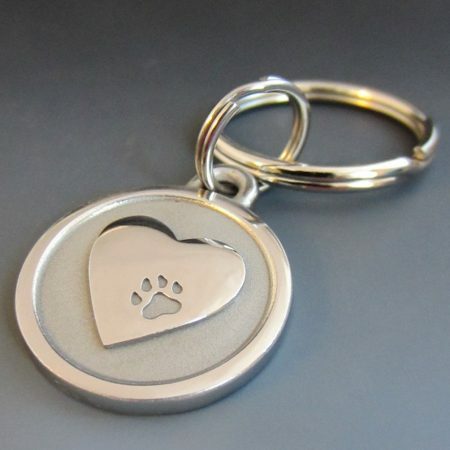 Keychains take a beating, not unlike the beating our pet id tags take around a dog’s neck. 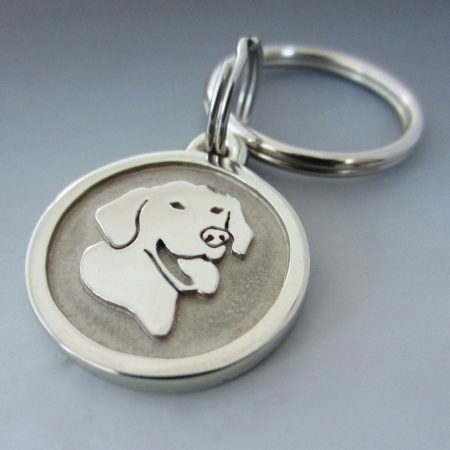 Our engraved pet keychains stay shiny and bright FOREVER, unlike pewter keychains which turn dark grey or plated metal keychains which loose their plating and discolor. 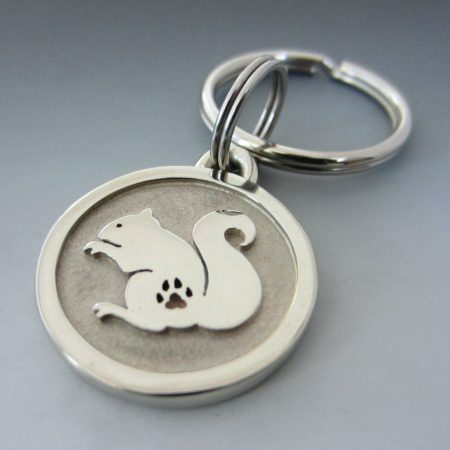 You will love how our stainless steel engraved pet keychains hold up and they are made in Maine!